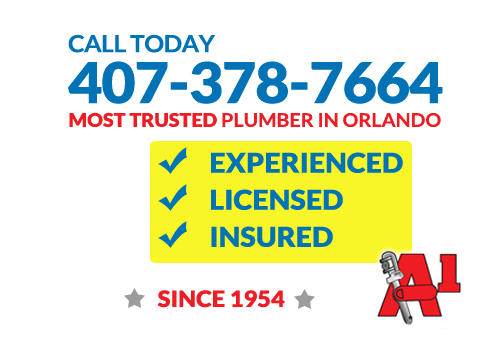 History of A1 Service Plumbing, Inc. The business started in a small shop where in order to get a 20-foot length of pipe inside, we would have to cut it in half. We now operate in an 8,000 sq. ft. facility. Our service area started out just in the area of Winter Park and has now expanded to cover over four counties. Throughout the growth and over the years, the ownership remains committed to servicing the plumbing needs of the area with the highest level of service we can provide. In 1980, Mike Sr. was joined by his son, Michael, 15-years-old at the time. Michael worked under a school DECA program. This program allowed high school students to attend major classes in the morning and work for a qualified company in the afternoon. This program accomplished two things: to keep them in school and to show them what the working world would be like. Michael also attended an ABC apprentice school during this time and after graduating high school, he continued to work in the family business. He became a Certified Master Plumber at age 20. Today, Michael operates the business under the same principles established by his father many years ago. He has taken the business to higher levels of service to the community while maintaining the standards that have set our company as a leadership standard for others to follow in Central Florida.